Struggling to make pro quality mixes in your home music studio? Advancements in today's technology has made very high quality gear extremely affordable to the average musician, singer/songwriter or recording engineer. However, just having the right gear and software does not guarantee a professional quality mix. That's why I created the Backstage Coaching Club. As a 20 year veteran recording enginner, I simply got fed up with the lack of support for the "working man: home studio owner. I saw a void that often leaves the project studio enginner stuck and frustrated in their passionate pursuit to build industry quality projects. I become so tired of the elitist pro studio enginner mindset that says "you can't build a great mix without decades of experience and half a million in gear". The BACKSTAGE COACHING CLUB is an A-Z, step-by-step, checklist guide to producing your own HIGH QUALITY RECORDINGS. Build home music studio projects that you're proud to present to your fans, friends, and family members. Have a greater, longer lasting impact on those who are inspired by the music you make. Finally begin to understand the modern gear and software that's been standing in the way of your creativity for years. Benefit from the collective knowledge and experience of a community of like minded, home and project studio owners and experts. "I am always interested in what others who are trying to educate the masses have to say about the process of recording audio. I do agree with your 5 pillars article (which is what prompted me to subscribe). Keep up the good work..."
Use my one of kind, step-by-step, checklist guide through everything you need to know to build your own high quality recordings. You can go as fast or as slow through the system as you'd like and track your progress each step of the way. Over 36 A-Z, lesson videos walking through the entire processing from start to finish, of recording, mixing, and mastering your own home and project studio recordings. Wondering how well your progressing in your mixing? You'll be able to get optional mix feedback and helpful ideas on how you can really take your projects to the next level. Ask additional questions and get a priority, “to the point," direct video response. Dynamic Content videos are achieved so you can get more answers any time you need. Access to additional content only available to Backstage Coaching Club members. This includes exclusive interviews, tutorials, and more on the latest tips in home recording. Members also get exclusive access to the private Facebook group, the perfect place to get more answers, mix critiques, peer support, and connect with other like minded students. Access to bonus and exclusive resources not available outside of Backstage Coaching Club membership. This includes members only discounts on partner products and services. "I could say I have some experience prior to Dave´s training...but it was only when I started to take his lessons that I realized how much I did not know! Some parts completely blew my mind away because I never understood that some things he has shown are possible, and especially in home environment!" "As a result of being a member of the Backstage Coaching Club I have been able to record the BEST sounds ever into my latest project. Even without post-production, this project already sounds way ahead of my previous finished mixes! Amazing. I have learnt how to arrange a project, how to record with the best input signals and how to organize my workflow. I know I will learn so much more in the coming modules, it’s exciting to think just where David is going to help me take my skills to"
You'll walk through the step-by-step proven process of recording and building your entire project tracks. We'll cover everything from mic placement techniques, to recording chains, acoustical treatment, essential gear, and much more (12 total lessons). Lesson 2: Why Don't My Tracks Sound The Same In Other Systems? You'll learn the entire process of mixing your audio projects in the home music studio. We cover everything you need to know about compression, EQ, reverbs, delays and lots of other insider mixing techniques. This module will build upon module 1, and take it to the next level (12 total lessons). You will learn the mastering process to assure your mixes will sound balanced in any playback system. Use EQ, compression, and limiting, as well as several other advanced techniques, to create an amazing quality master of your project. You will create hard copies and/or digital versions of your projects (12 total lessons). Checklist action steps to help you implement what you're learning. You can easily keep track of your progress regardless of how fast or slow you work through the training. Dynamic Content Archives, including the most recent video responses to student questions, are all available for even more answers to your questions. Become part of our community so you can ask questions as you go, get help with technical details, discuss possible challenges, even get mix critiques and feedback. Get access on any internet connected device so you can learn any time and and anywhere. Video and audio from within the Coaching Club can be played on virtually any desktop, laptop, tablet or smartphone. Get Instant Access to the Backstage Coaching Club! 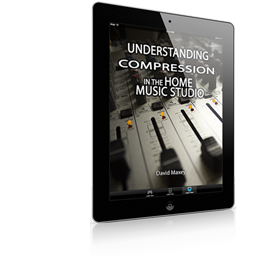 This 5 video course will teach you how to use compression to create full mixes, tight lows, perfectly balanced tracks, and tame vocal sibilance. This 12 step course will teach you how to record and mix professional quality lead vocal tracks on a budget. Tracks that sit perfectly balanced in the mix every time. "...I am happy that I have joined the Backstage Coaching Club. Dave, you are not only a good teacher, you are an excellent teacher. The time you take, the repetition of important points, the way you are talking ‘off the cuff’, it is professorial." "Thanks Dave for having me in the group. After all those years covering on YouTube, it's about time to write and produce my own songs. So glad to have found my way to you!" With more than 20+ years as a recording and live audio engineer, I've been helping thousands of singers, songwriters, musicians, and engineers make high quality recordings, even with limited budgets. From rock to jazz, from metal, to gospel, and every other style of music out there, the amazing students I work with are able to achieve outstanding results. Today my focus is teaching home and project music studio engineers just like you to produce professional quality recordings with the low cost gear and software available today. Just started my journey with your videos and right from the start...I must say...great stuff. Dave, I want to say thanks for offering a training that is easy to understand and lays out a great functional framework, even if you have very little experience! Now honestly, I don’t really believe you will need to but, to help put your mind at ease, this is my 100%, no risk offer, just for you. What software and hardware do you use for the tutorials? So all of this training is designed to be universal to most any modern DAW (eg. ProTools, Cubase, Logic Pro, ect.). The same is true of hardware. I teach a model that will give you great results with almost any audio interface. That said, I demonstrate the Coaching Club lessons using the Reaper DAW and a Focusrite Scarlett 2i4 audio interface. What if I don't have the time to complete all the training? You’ll have access to the content as long as your membership is current. This means you can come back to the video lessons in 2 days or 2 weeks and the training will be there for you when you need it. The A-Z modules can be follow as fast or as slow as your schedule allows. You’ll be able to check off your progressive along the way and come back to where you’ve left off. What type of format is the Coaching Club in? All of the content inside the coaching club is streaming video with optional audio download. The content can be viewed on most any device connected to the internet. This includes most smartphones and tablets. Do I have the right gear I need to make good use of this training? In the introduction lessons of the Coaching Club I will walk you through the essential gear you need to get started. I’ll give you several options that will work for most any size budget. If you have an audio interface, a pair of headphones, a single mic and recording software than you already have what you need to get started. Absolutely…all my premium training products have a 30-day, no-questions-asked guarantee. In other words, if you aren’t happy for any reason, just let me know and I’ll give you your money back. You can also cancel your membership anytime from within your account. I honestly don’t think it’ll come to that, but if you’re even the least bit worried if this will work for you, then let me put your mind at ease. You either get the results you want or you get your money back. It’s as simple as that! How long will it take to get access to the Backstage Coaching Club? You have Immediate access. You will create a username and password as part of the checkout process for the training. You’ll then be able to immediately log into the members area of Home Music Studio 1 and access your premium training there. If I don't use Facebook can I still get support via email? Absolutely! Even though Facebook is free and the private group does not require you to use a Facebook account for anything else, there is a special support email inside the members area for priority answers. "Yesterday i delivered the final mixes to him and he congratulated me on a great job well done. Thank you Home Music Studio 1 for your role in helping me bring this album to completion - I couldn't have done it without you - honestly." "I also wanted to thank you for extending the special on your training program. Your service has already far exceeded any expectations I might have had. Thanks again for the wonderful service you provide."